Congratulations to "Lynne D." the winner in Jenny's giveaway. Thank you to all who participated! Hi. My name is Jenny, and I’m addicted to romance novels. Me: No. Way. I can’t do that. Wait…can I do that? Agent: You can totally do that. And lo, my debut novel Saving the CEO was born. And, OMG, the 21st century! It turns out I love it! And not just because we have running water, and, like, women’s suffrage. So, allow me to present to you the top five reasons to love contemporary romance. 1. Your characters can curse however the f*#! they want. Once you’re not limited to drat, dash, egad, and my heavens, I’m telling you, it’s a whole new world. 2. Chaperones! You don’t need them! In the 21st century, a lady of good breeding is free to promenade around the park—or the pool hall—without a maid in tow. This makes it SO much easier for her to run into a gentleman of good breeding. Or—bwa ha ha!—a gentleman of bad breeding. 3. Jobs! Your heroine can have one! This makes it easier to make her a complex, well-rounded person. It also lets her have a diversity of friends and acquaintances that a sheltered Regency miss would not. 5. Research! You don’t have to do it! I kid here. I loved doing the research for my regencies. But after having written four of them (my first book is under my bed, where is shall remain for all eternity), suddenly writing a book that didn’t require getting really friendly with the folks at interlibrary loan was a joy. I will say, though, there is one BIG thing that Regency novels have going for them that contemporary ones don’t: Balls. A good ball goes a LONG way in my heart. He's making a list...and breaking every rule on it. jenny will be giving away a digital copy of Saving the CEO to one lucky person leaving a comment or email entry. Giveaway ends 11:59pm EST Oct. 30th. Please supply your email in the post. You may use spaces or full text for security. (ex. jsmith at gmail dot com) If you do not wish to supply your email, or have trouble posting, please email maureen@JustContemporaryRomance.com with a subject title of JCR GIVEAWAY to be entered in the current giveaway. I have not read any Regencies but I love Contemporaries! This one sounds good. Congrats on your release! Oh, Regencies are wonderful, Lynne. My faves are Courtney Milan, Grace Burrowes, and Tessa Dare. Love the cover! Ha ha, your five reasons made me laugh. As a fellow Regency-turned-contemporary writer, Sandra, I know you know where I'm coming from! Ha! Me, too, Colleen! It's like historicals were the gateway drug for us! 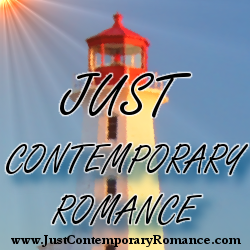 I love your top five reasons to love contemporary romances! Saving the CEO is awesome, and I applaud your entrance into the world of being a PUBLISHED AUTHOUR!